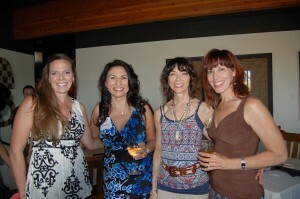 Network & get connected with some of the coolest women in town! The women who are attracted to this event are busy, successful and highly motivated movers & shakers from a variety of industries. I hear time & time again how they LOVE this event because it truly attracts like minded, genuine people. We are all super busy these days juggling career & family and if we’re going to take time to attend an event, we want to know it’s worth it. This one truly is! The event is only 2 hours, 5-7pm on the 3rd Tuesday of each month. Tickets are $20 and include your evening of connections and a chance at some great door prizes. OR, become a Foxy Women & Wine VIP Annual Pass Holder and get into ALL of the Foxy Women & Wine events across town for free ($225 for 1 entire year)! Get your tickets ONLINE now so you don’t have to stand in line at the door. The format of the event is a casual happy hour style atmosphere that is conducive to mingling and getting to know the other professionals in attendance. You will love it! Can’t wait to see you there! Foxy Women & Wine Scottsdale Fun! Some of Our Wonderful Foxy Ladies! Consider our annual membership for deeper social & business connection! F.O.X.Y. Experiences - Workshops & Conferences for women! Fantastic speakers, inspiration, education & interaction! Monthly Event - Great networking & fun! $25 for guests, $20 for fox Den AZ members!